Paul Kim advises technology companies (including video game developers and publishers and internet companies), manufacturers, retailers, investment funds, and real property owners and developers in a wide range of corporate and commercial transactions. Mr. Kim's practice focuses on mergers and acquisitions, joint ventures, financing, technology licensing, software and game development and publishing agreements, distribution agreements, and procurement contracts for goods and services. Mr. Kim also advises clients with respect to equity-based compensation programs, employment agreements, and consulting arrangements. 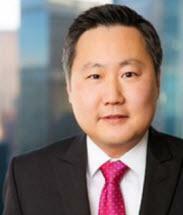 Mr. Kim previously was with the global law firm of White & Case, LLP. At White & Case, LLP, Mr. Kim concentrated on cross-border corporate, securities, and employment issues affecting multi-national companies. Mr. Kim is based in Los Angeles. Represented an international video game developer and publisher in acquisition of online game publisher. Represented an international video game developer and publisher in strategic investment in mobile game developer. Represented a multi-national automobile parts manufacturer in obtaining an asset-based loan in an amount up to $130 million. Represented a real estate developer in a private placement of its securities, the proceeds of which were to be used in the construction of a 500,000 square foot mixed-use project in Orange County, California. Represented an international technology company in preparation of a joint software development agreement and licensing agreement.